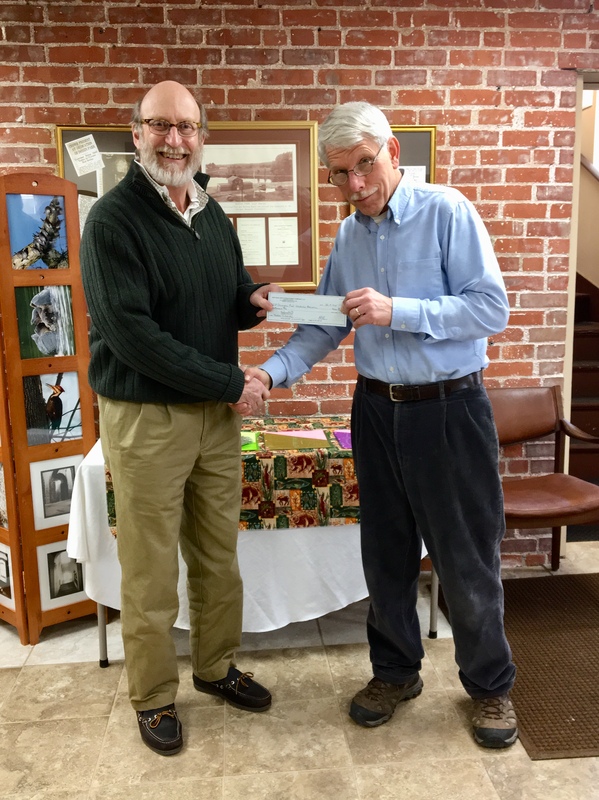 On March 23rd, Chris Conover, New England Hydropower Corporation Chief Marketing Officer presented a check in the amount of $1000 to QRWA President, David James to be used towards environmental education and general fund purposes. New England Hydropower Corporation (NEHC) are the builder and operator of the Archimedes screw, water turbine on Hanover Pond in Meriden. 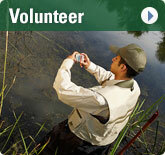 Community involvement are part of both organizations mission. The Quinnipiac River Watershed Association was awarded a $48,000 Aquatic Science Education Grant by 3M Corporation on Monday, March 21, 2016. We are equally proud to include 2 classes of Wallingford's Lyman Hall students to this year's field trip program. 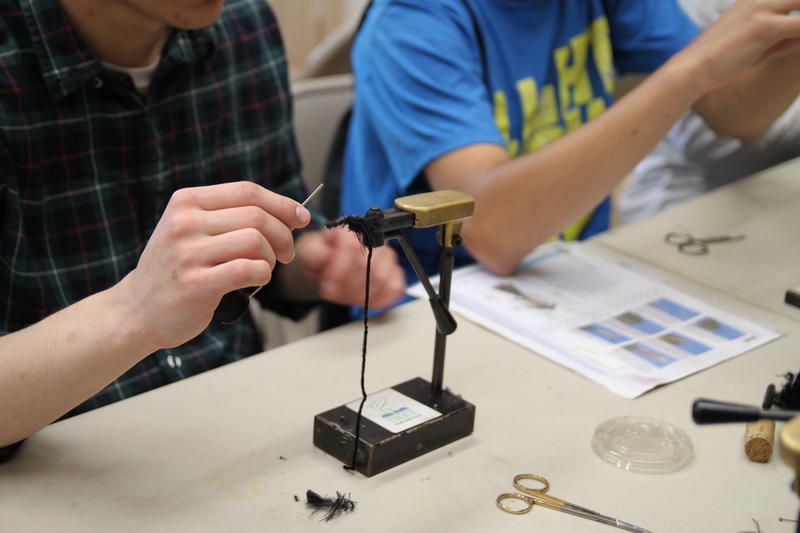 Students will learn how to collect and ID macro invertebrates, conduct water quality experiments, and release trout they raised in the classroom. At the end of the day QRWA volunteers will give the students an introduction to kayaking where they will test their skills on Hanover Pond. 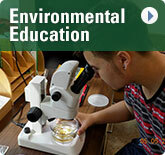 The 3M/QRWA/Environmental Education programs have also made the Trout in the Classroom (TIC) and Personalize Learning Experience (PLE) programs available to students at Meriden's Maloney and Platt High Schools. Summer program to include Solar Youth of New Haven's after school and summer camp students. 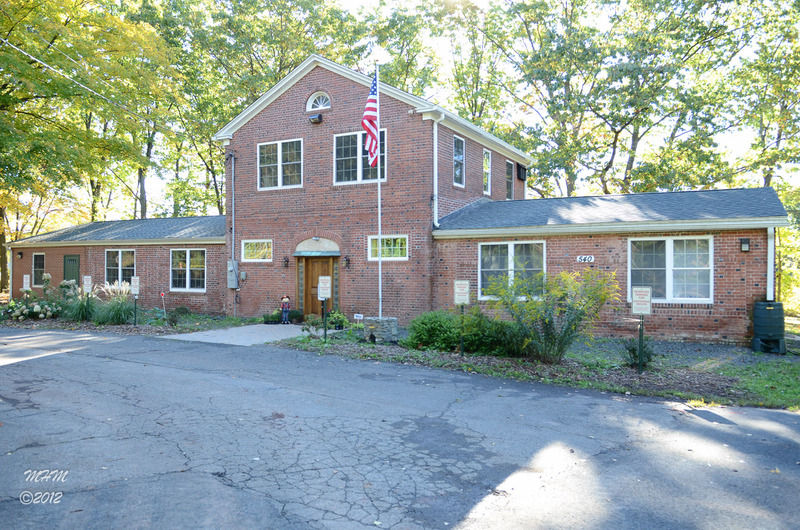 The QRWA Headquarters is located in South Meriden, CT at 540 Oregon Road, 06451. If you are familiar with the area,our headquarters was once the Meriden Human Society, and formerly the Dossin Beach Bathhouse in 1933. We have restored the building to serve as our headquarters and a regional environmental education center. Office hours Friday, 9 to 3 p.m. office phone 203-237-2237. The Quinnipiac River Watershed Association provides “hands on” environmental and recreational programs to students in grades K-12 and TWO, 2 day water safety and canoe rescue courses to Quinnipiac University students every September. We also host semi -Annual River clean up events, and provide paddling lessons, guided tours and recreational activities to families within the watershed. We are regulars at the Quinnipiac and West River festivals, and are well known in CT for our 5 mile downriver canoe and kayak race. We are always seeking volunteers to assist with launching boats, experienced paddlers for public events and to expand our river clean up efforts to other towns in the watershed. The Quinnipiac River Watershed Association received a $20,000 grant from 3M to enhance its Biodiversity and Ecology Education Programs for the Quinnipiac River. QRWA and 3M continue their relationship by adding a partnership with Meriden High Schools in providing environmental education programs where students in the watershed and beyond will be able to participate in field trips, classroom activities, hands on projects, and independent studies, that will connect them to the environment, the community and the river. With the financial support of 3M, QRWA and Maloney High School Environmental Science teacher Mark Britton will lead the project and invite the other area high schools to participate in these programs and throughout the school year. The programs will be offered during regular school hours utilizing the schools buses to transport students to site locations. With these educational programs students will be able to participate in experiments to support theories and concepts explained in the classroom. 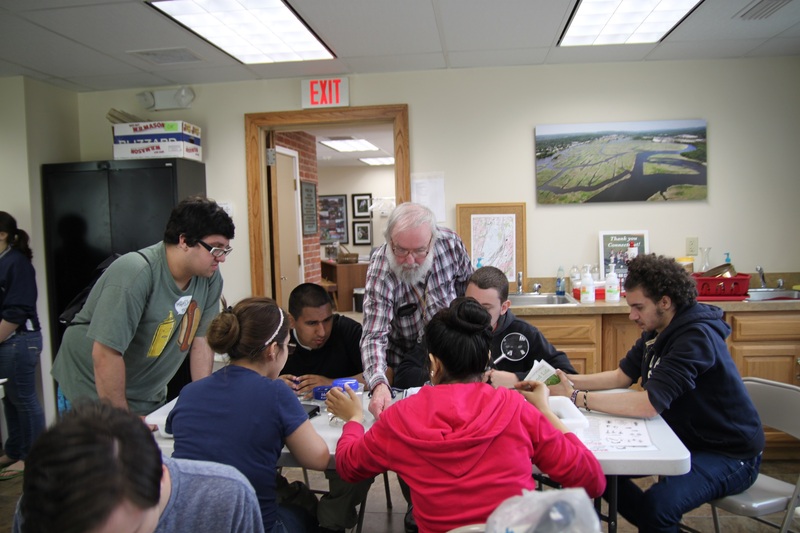 The QRWA Headquarters, located on the shore of Hanover Pond, the Quinnipiac River and the Meriden Linear Trail provides the perfect staging area for field trips, hands-on projects and water quality studies. 3M Purification Inc. is located in Meriden, CT at 400 Research Parkway. For more information about 3Mgives visit www.3Mgives.com On behalf of the QRWA board of directors we would like to extend our heartfelt thanks to Joe Struble at 3M Purification Inc. in Meriden for his continued encouragement and support of the QRWA and its mission. As part of the ongoing efforts to improve water quality in the Quinnipiac River watershed, we want to make sure you are kept apprised of various activities going on and continued opportunities for participation in these watershed activities. We welcome your participation in this project. 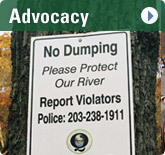 This is a ten year plan in which all towns in the Quinnipiac Watershed should engage. The QRWA Steering Committee met on June 24th, 2014 to discuss the proposed projects in the Quinnipiac Watershed Base Plan. Members of the committee outlined a "plan for the plan", and have done an outreach to the town leaders in which projects have been sited in the plan. QRWA will be seeking funding opportunities and engaging town leaders to participate in discussions about the projects. If you are interested in serving on the committee, or would like a copy of the final plan you may refer to the tab on this website labeled "watershed news" and then click on the watershed base plan. This project is funded in part by the CTDEEP through an EPA Section 319 Nonpoint Source Grant, with additional outreach support from The Community Foundation for Greater New Haven through the Quinnipiac River Fund. Fuss & O'Neill, Inc. was retained to lead the development of the watershed based plan, working with a Project Steering Committee (QRWA, CTDEEP, and EPA) and a Watershed Stakeholders Group consisting of representatives from the watershed municipalities, government organizations, educational institutions, non-profit organizations, and others who live and work within the watershed. City and Town staff and volunteers are currently working with the Quinnipiac River Watershed Association to revise the plan and the latest updated information on your watershed and future actions is available. For a copy of the final base plan you may refer to tab labeled "watershed news" , and then click on the watershed base plan. Click here for a real time USGS water level gage of the river in Wallingford, Connecticut. Click here for a water level gage of the river in Southington, Connecticut. David James, President of the QRWA and Ginny Chirsky, Director of Grants and Education, accepted the grant on behalf of the river conservation organization located in Meriden, CT Aquatic Science Awareness Program (ASAP) will allow us to expand our current high school programs to elementary grades K-5 with a focus on 5th grade students at Meriden's Ben Franklin and Hanover Schools. Spring Source to Sound Cleanup Sat. May 4, 2019, 9 a.m. to 12 p.m.
39th Downriver Classic Five Mile Canoe & Kayak Race, Sun. May 19, 2019. Race day registration 9 a.m. to 10:30 a.m. $18 per paddler. Students participating in the Trout in the Classroom program under the 3M/QRWA/ASAP Grant Program with visit the QRWA Regional Education Center whereby students conduct "hands on" experiments in the Lions Club Learning Center Classroom collect samples from Sodom Brook, learn how to paddle and fish, observe wildlife on Hanover Pond, and walk along both linear trails to learn to identify flora and fauna. Volunteers are needed to assist students collecting "river bugs" and to help with identifying their finds once back in the classroom. Volunteers may contact Ginny Chirsky at ginnychirsky@att.net - Our continue thanks and appreciation to 3M for the funding to make these environmental education programs possible. 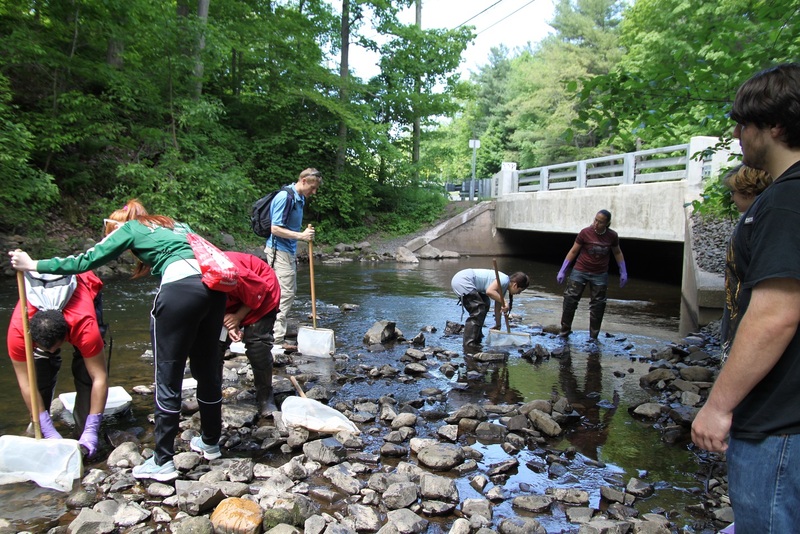 Students visited QRWA to participate in how to collect and ID macro invertebrates from the river resulting in lessons about the water quality in the Quinnipiac River. Thank You 3M for the funds to continue with this work. The habitat has been divided into sections and has been adopted by several Master Gardeners. Anyone wishing to volunteer for this "on going" project should contact Becky Martorelli at 203-213-4366. If you find an injured or healthy turtle in need of assistance please contact Deb Mason at 203-494-7610. If more immediate attention is needed Kensington Vet will take injured box turtles. They are located at 977 Farmington Avenue, Berlin, CT they are open from 8 to 5. Phone number is 860-828-7736.